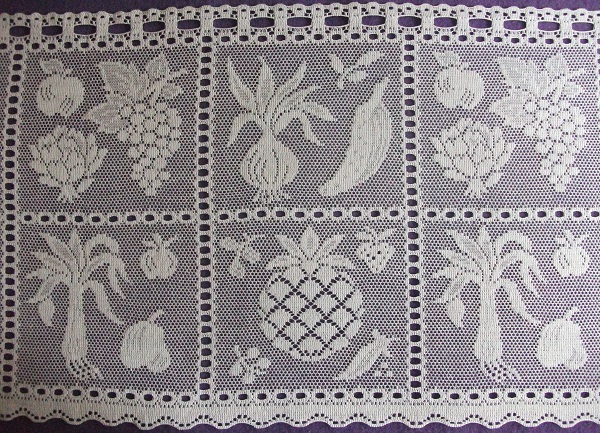 An unusual pattern with a Country Kitchen aspect to the design, this lovely white vintage Nottingham cotton lace cafe curtain incorporates square panels showing motifs of pineapples, strawberries, grapes, apples, tomatoes, leeks, onions and aubergines to name but a few. 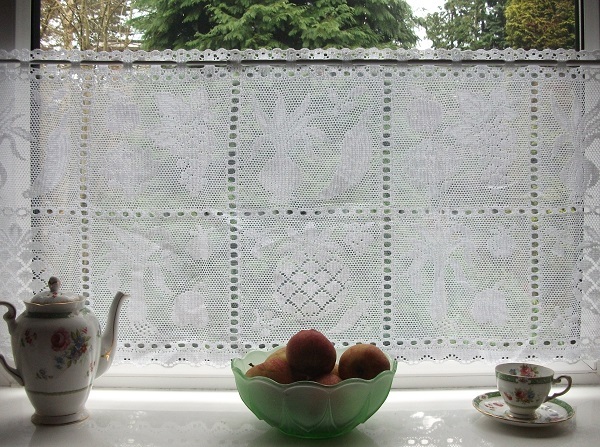 The overall length of this curtain is 18" (46cm) making it perfect for use as a cafe curtain in the home kitchen, tearoom or for other commercial use. 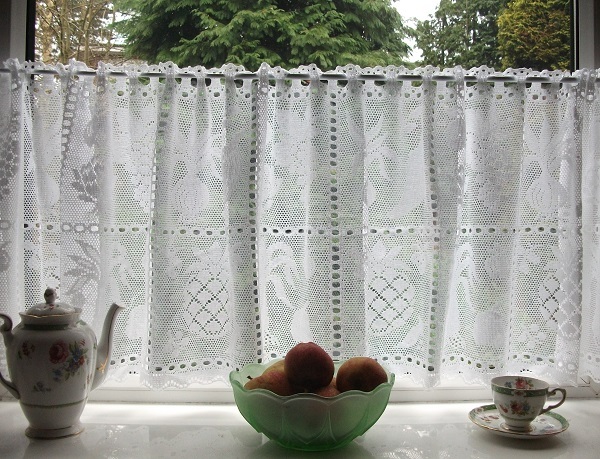 Supplies of this curtain are limited. Orders over one metre will be supplied as a continuous length. Price is per metre. Please note that there are only 4 remnants of this fabric left, all are over 1m in length but less than 2m. Please email before purchasing. Fibre : Cotton. Colour available : White only. Gentle hand wash 40oC.